The battle between Android and iOS is never ending. Regardless of what new features both the platforms come up with, there will always be something missing that is found on the other. With that, people in the market buying a new smartphone often find themselves in an awkward situation, where they have to make a decision and chose one. Most of them prefer Android for the customization options whereas others simply go for iOS on iPhones because of the easy of use. Either way, there is some kind of third party influence here. However, it is tough to predict which one is the best here since both the companies keep touting their numbers in every opportunity they get. Well, if numbers are something to be followed then it looks like a huge chunk of people have made the switch from Android to iOS over the course of time. 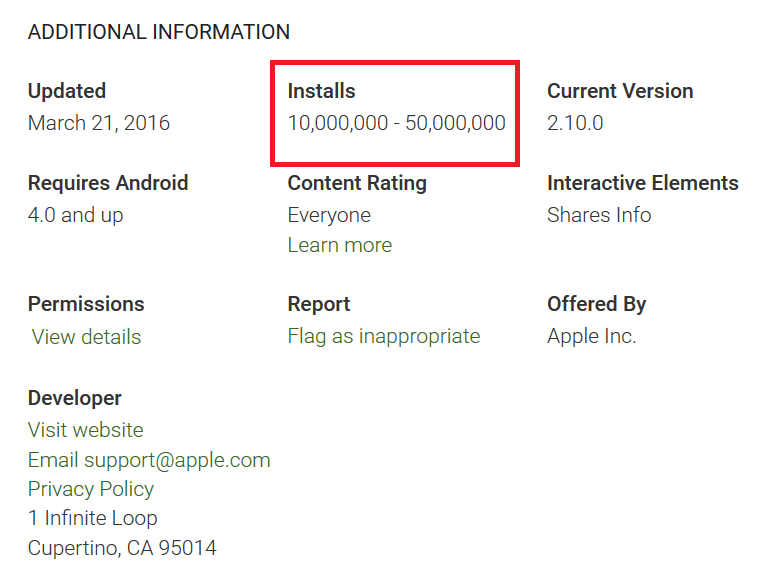 Yes, according to an application in the Google Play store, at least 10 million people have switched to iOS in the last couple of years. And bear in mind that this is not a small number by any means. If you are wondering which app is this, it is an app called ‘Move to iOS.’ This is a very basic application, and it helps Android users switch from an Android powered handset to an Apple iPhone by allowing you to easily move all the data from your older Android smartphone to the new iPhone which you are switching to. Well, it works pretty well, and it does what it claims to do. Yes, of course, it is simple since Apple developed this app and they definitely want to provide an easy way to switch to their new customers. And as of today, this app on the Google Play store stands with a download count of over 10 million. The figures between 10 million to 50 million, which mean at least 10 million people have made the switch. According to the reports, by October 2015 1 million to 5 million had installed the app and now, on the other hand, just a year down the line, we have more the numbers standing somewhere between 10 million to 50 million. Now you might argue that not all the people who have installed the application have made the switch. Yes, that’s true, and that’s why we are considering the least figure of 10 million minimum. Although it is not an ideal way to count the numbers and come to a conclusion here, however, it is a good way for the company to keep track of the actual figures and see how they are doing in the market. And as a matter of fact, this might be very close indeed. Considering the fact that iOS has evolved over the course of time, not many people will mind switching here. And yes, not to forget that the company recently touched the milestone of selling over 1 billion iPhones. Stay tuned for more info like this.